Our staff will work hard to protect your rights and maximize your claim. You need an experienced and aggressive Arizona trial lawyer who will fight for you. Having an experienced Arizona trial attorney can make the difference between getting a fair recovery and getting little or nothing. Eric Post was born in Tucson and attended Catalina High, Cochise College (AAS Degree in Aircraft Maintenance Management), Pima College (EMT Certificate). He moved to California in the mid 1980’s and attended Linda Vista Bible College (B.A. in Biblical Studies), Bethel Theological Seminary (M.Div), and finally, Thomas Jefferson School of Law (JurisDoctor). In 2000, Eric moved back to Arizona to practice law. Life experience can be a big part of helping clients in the community. In the early 1980’s, Eric worked as an Emergency Medical Technician for Kord’s ambulance. From the mid 1980’s to the mid 1990’s, Eric focused mostly on aviation employment flying helicopters for charters and out at sea on tuna seiners. This included maintenance and repair work as a certified aircraft mechanic with an inspection authorization. After graduating from Bethel Theological Seminary, Eric pastored an American Baptist Church in San Diego for two years before attending law school. 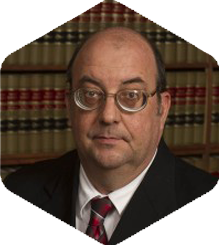 While working for law firms during the first seven years of being an attorney, Eric handled cases in various fields of law such as bankruptcy, criminal defense, contract, landlord/tenant, probate, conservatorships, child custody, domestic relations, and personal injury. In 2007, Eric began private practice focusing on Bicycle and Aviation injury cases.